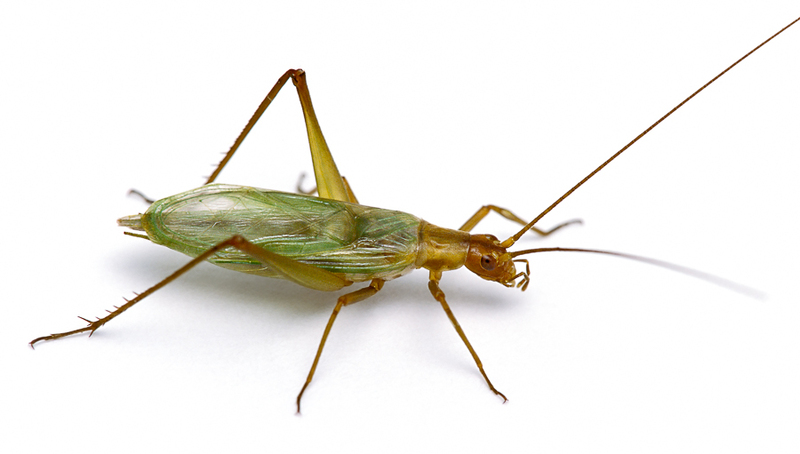 Song of a Narrow-winged Tree Cricket (scroll down for explanation and additional recordings!). 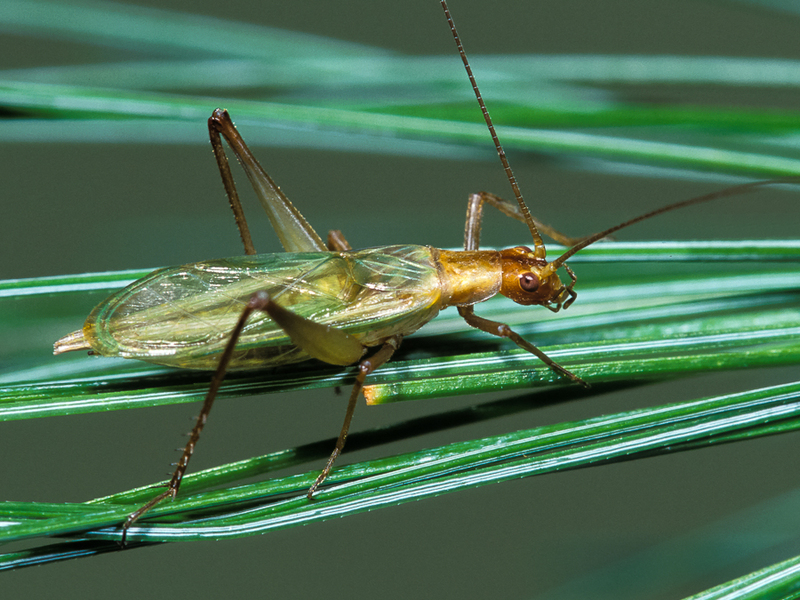 Sporting a brownish red body and spruce green wings, the Pine Tree Cricket is perhaps the most beautiful of all our tree crickets. This species is found almost exclusively in conifer trees, where its coloration helps it blend in, making it exceedingly difficult to observe or capture. After strong storms, however, these crickets may sometimes be found on vegetation in the shrub layer beneath preferred pines, cedars, and other evergreens. Males typically sing from a tangle of needles. As with other tree crickets, females seek out displaying males and can often be observed crawling on nearby limbs, moving in the direction of the singer. Listening at night for a singing male in the lower branches of a pine can also be productive. Song: A continuous musical trill with about 45 pulses per second at a frequency of 3.5 kHz. Plaintive and relaxing. One of the most pleasing songs of all of the tree crickets. Often heard as the sun is setting and into the night. Sonogram of a Pine Tree Cricket. © Wil Hershberger. You know your cheap alli diet cat s temperament better than anyone so..